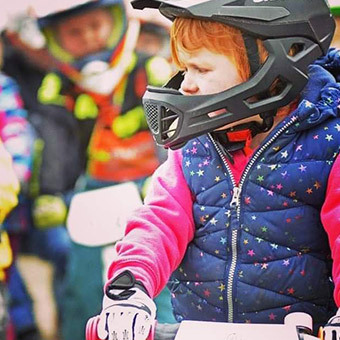 Ready Steady Riders are passionate about child development, early learning through play, and giving children the freedom to explore their world on 2 wheels! ​“Hi I’m Karen! Better known as Kaz or Kazzi. 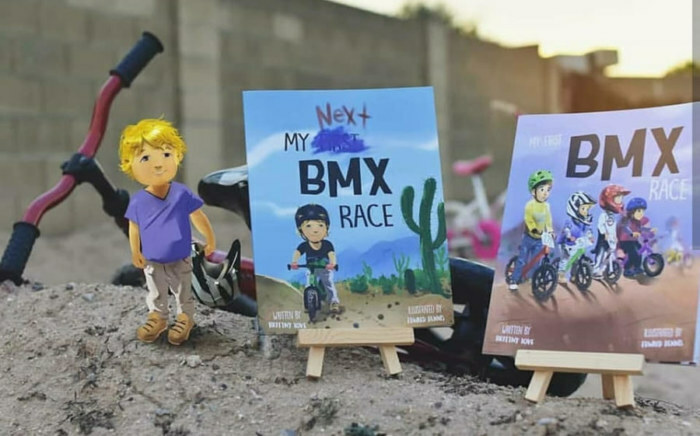 I am a nursery nurse, BMX racer and former mx rider. 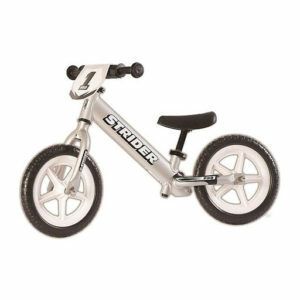 I founded Ready Steady Riders in September 2016, 6 months after buying my daughter a strider bike for her 2nd birthday. We decided life is better behind bars, and it’s been an awesome ride so far! 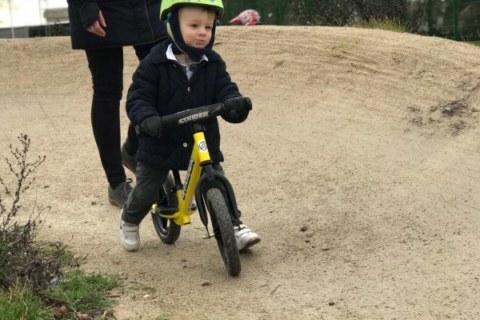 To a toddler a balance bike so much more than just a bike, it’s a valuable tool for learning essential life skills, and gateway to freedom and independence. By providing children with a bike that they can ride easily from the age of 1 they learn to ride a bike as easily as they learn to walk. 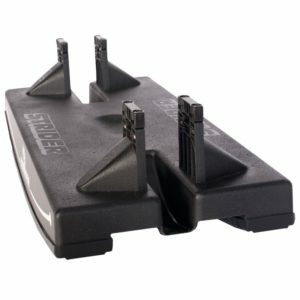 Balance, coordination, speed perception and control are all mastered before pedals are introduced. 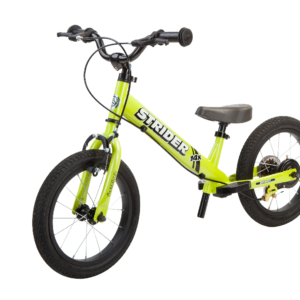 Balance bike riders bypass stabilisers and make the transition to pedals and brake levers smoothly and effortlessly. 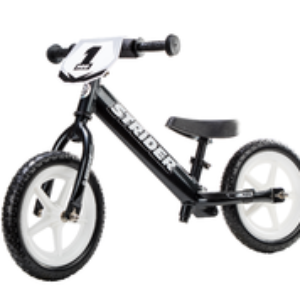 Strider bikes are designed to be simple yet effective. The 12 inch are seriously hard-wearing, ergonomically designed with some clever features and light as a feather. 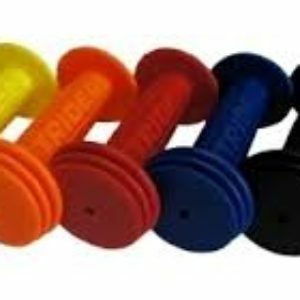 They work perfectly for kids and are convenient for parents. 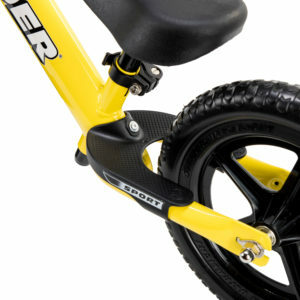 Strider have also made the perfect learning tool for riders ready to progress to pedal propulsion. The 14x Sport converts from a balance to a pedal bike in just 3 minuts and has changed the “learn to ride” game. 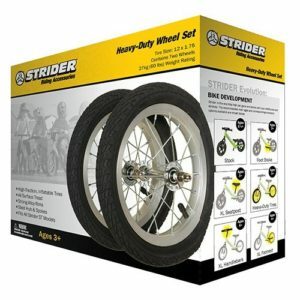 Strider is more than just early rider focused design. 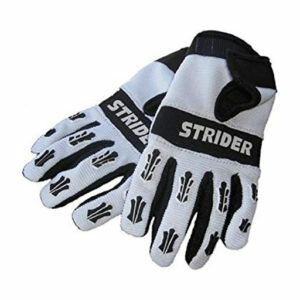 It’s a community based around Strider racing, events, and local coaching sessions. They even hold an annual World Championship! To support children to develop an appreciation for a life behind handle bars. 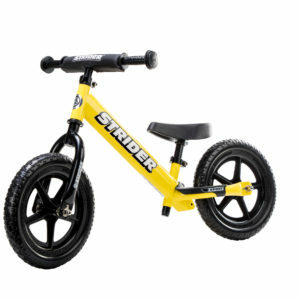 Both balance and pedal bikes are welcome at our Strider Sessions for children age 1-6. 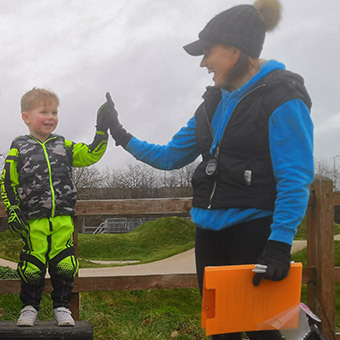 By giving children the opportunity to ride together in a safe and encouraging environment, we promote the development of early cycle skills and self confidence. We operate on a rock up and ride basis so there is no need to prebook. 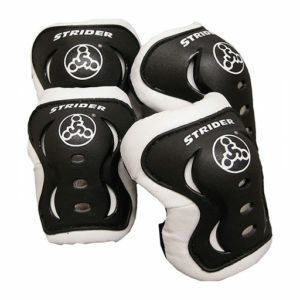 For more info search Ready Steady Riders at www.clubhub.co.uk. Follow our social media for updates. 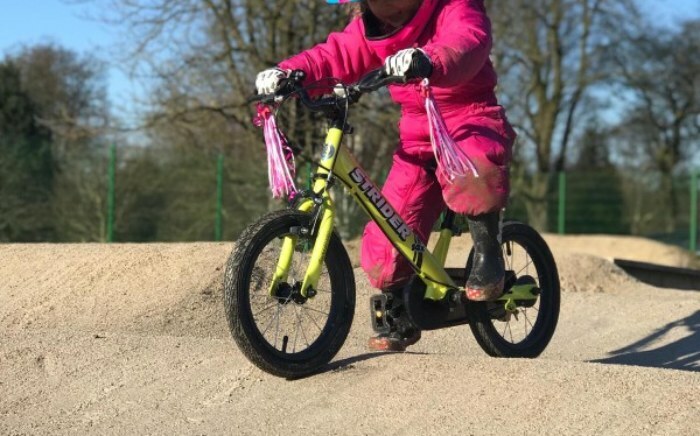 1 hour of Strider bike fun, upto 10x 12inch strider balance bikes and helmets, a course to ride including ramps, some fun races and a medal for the birthday rider is priced at £100. Logistic charges apply to venues over an hour drive from our HQ. Indoor and outdoor venues are acceptable, smooth riding surfaces are preferable. Message us for enquiries, to check availability, and venue recommendations. 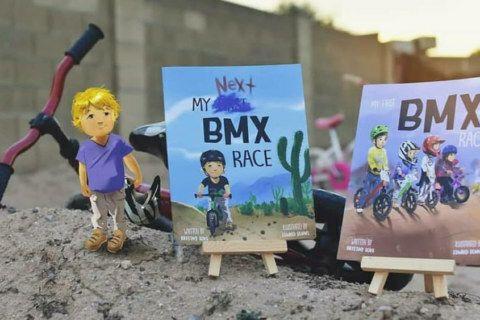 Ready Steady Riders - Balance BIke RACING will be every bit as awesome as it sounds. The term “racing” is used lightly. These events are designed to build confidence and inspire children to grow and achieve, whilst having fun with friends, and winning medals! 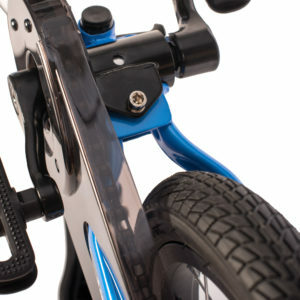 Children age 1-6 can compete on 12inch and/or 14 inch balance bikes. Take the EYFS to infinity and beyond with Ready Steady Riders. 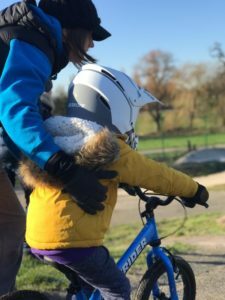 We are based in North Birmingham and offer education providers the opportunity to deliver Strider sessions to children age 1 – 6 years. These sessions support multiple policies within the education setting. 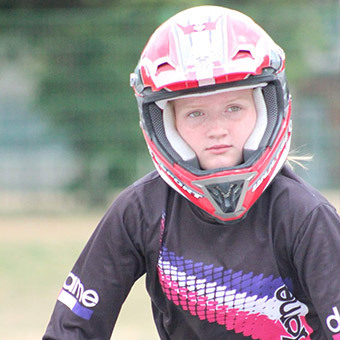 "Been coming three months and from then we’ve mastered balance bike to graduating to pedals. Kaz is fab and we want to shout about this to everyone we know!" "So two weeks to the day since he graduated to pedals with Ready Steady Riders he did 5.5 miles on Monday and wanted to come back so today did 11 miles on the Camel trail - Wadebridge to Padstow and back again!!! All down to Kaz and me bringing him regularly over two months to balance bike sessions! 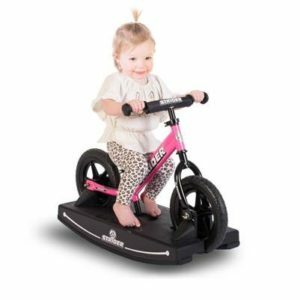 Don’t underestimate the balance bike!" "Our son had his first try today, superbly organised with caring and friendly people. Thank you very much!" 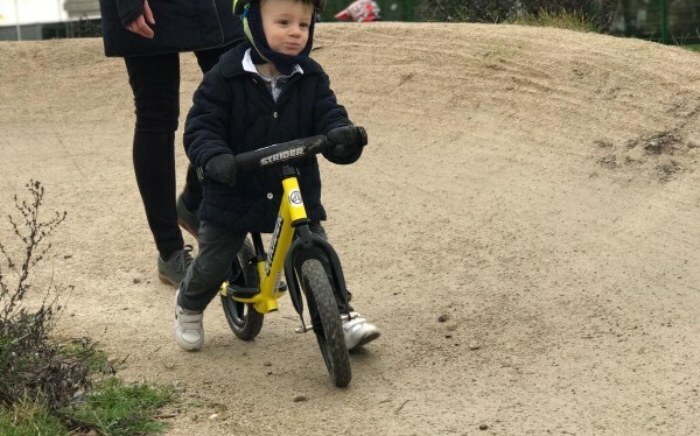 "I took my son for the first time yesterday , he can come across quite shy and usually takes a while to warm up to new environment, people and activities but after about 5 minutes his helmet was on , he was on the bike and away he went. Karen was absolutely fantastic and my son loved her. He tried the ramp/gate all within the first 10 minutes with Karen by his side. Absolutely amazing I can’t recommend enough." We love to see and share your photos! Don’t forget to tag us in your social media posts. If You Can Keep Up! Keep up to date with the latest info by clicking our social media links. Don’t forget to follow, like and subscribe. For bookings and enquiries, to share your thoughts, ideas and experiences or anything else!